Get Lenovo IdeaCentre 720 Desktop with Intel Quad Core i7 8G / 16GB / 2TB HDD + 256GB SSD / Win 10 / 4GB Video from Lenovo.com. 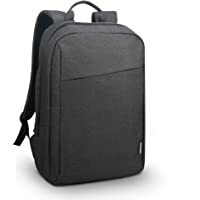 Discount : 8% via coupon "APRILSAVE8"
Get Lenovo Carrying Case for 15.6" Notebook from Lenovo.com. 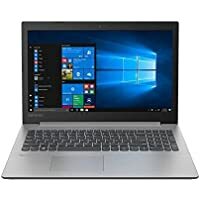 Discount : 10% via coupon "THINKEASTER10"
Get Lenovo IdeaPad 330 14" FHD Laptop with Intel Quad Core i7-8550U / 8GB / 1TB / Win 10 from Lenovo.com. Super Hot! 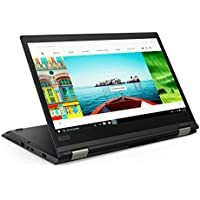 Get Lenovo Flex 14 14" FHD 2-in-1 Laptop with AMD Quad Core Ryzen 7 2700U / 16GB / 256GB SSD / Win 10 from Lenovo.com. Get Lenovo Ideapad 330 14" FHD Laptop with Intel Quad Core i7-8550U / 8GB / 1TB / Win 10 (Platinum Grey) from Lenovo.com. 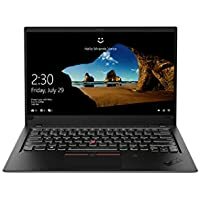 Lenovo.com is offering up to 30% off on Select ThinkPad laptops, desktops and tablets via coupon code "THINKTAXTIME". Plus, all orders qualify for free shipping. This offer is valid till 04/17/2019. Get Lenovo GXB0Q25512 1TB USB 3.0 Portable External Hard Drive from Lenovo.com. 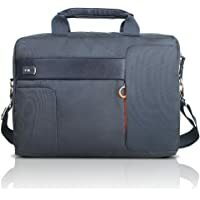 Get Lenovo 15.6" Classic Topload Bag (Blue) from Lenovo.com. 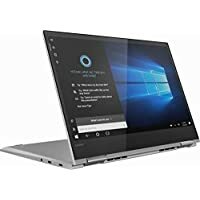 Get Lenovo Yoga 720 12.5" FHD Touchscreen 2-in-1 Laptop with Intel Core i7-7500U / 8GB / 512GB SSD / Win 10 (Iron Grey) from Lenovo.com. 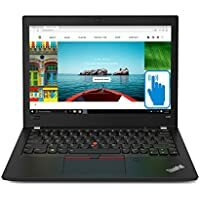 Get Lenovo ThinkPad X1 Carbon 14" FHD Laptop with Intel Core i5-8250U / 8GB / 256GB SSD / Win 10 from Lenovo.com. 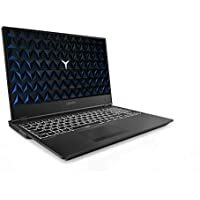 Get Lenovo Legion Y740 15.6" FHD Laptop with Intel Hex Core i7-8750H / 16GB / 1TB HDD & 256GB SSD / Win 10 Pro / 8GB Video (Iron Gray) from Lenovo.com. Super Hot! Lowest Ever! Get Lenovo IdeaPad 720s 13.3" FHD Laptop with AMD Quad Core Ryzen 5 2500U / 8GB / 512GB SSD / Win 10 from Lenovo.com. Super Hot! Get Lenovo ThinkVision P27h-10 27" Widescreen WQHD 1440p IPS LED Type-C Monitor from Lenovo.com. Get Lenovo IdeaPad 330 17.3" Laptop with Intel Quad Core i5 8G / 8GB / 1TB / Win 10 / 4GB Video from Lenovo.com. 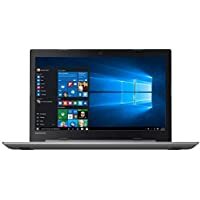 : $62.00 via coupon "THINKQUICK"
Lenovo.com has up to 72% off + an extra 15% off on new & refurbished laptops, desktops and more via coupon code "OUTLET15". Plus, all orders qualify for free shipping. This offer is valid till 03/30/2019. 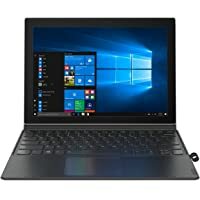 Get Lenovo Miix 630 12.3" Touchscreen 2-in-1 Laptop with Eight Core Qualcomm Snapdragon 835 / 4GB / 128GB FDD from Lenovo.com. 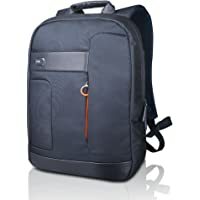 Discount : 10% via coupon "ANNUALSALE10"
Get Lenovo GX40M52025 15.6" Laptop Backpack by NAVA (Blue) from Lenovo.com. 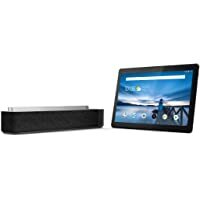 Discount : 5% via coupon "EXTRA5"
Get Lenovo M10 10.1" 16GB Wi-Fi Android Tablet with Qualcomm Snapdragon 450 / 2GB RAM + Lenovo Smart Plug + Lenovo Smart Bulb from Lenovo.com. 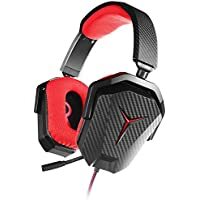 Get Lenovo Legion Over-Ear 3.5mm Wired Gaming Headphones (Black/Red) from Lenovo.com. Get Lenovo ThinkPad X1 Carbon 14" Laptop with Intel Quad Core i5-8250U / 8GB / 256GB SSD / Win 10 from Lenovo.com. Get Lenovo Yoga 730 13.3" FHD Laptop with Intel Quad Core i5-8250U / 8GB / 256GB SSD / Win 10 from Lenovo.com. Discount : $300.00 via coupon "NEWYOGA4U"
Get Lenovo Ideapad 130 14" HD Laptop with Intel Quad Core i7-8550U / 8GB / 1TB / Win 10 (Black) from Lenovo.com. Get Lenovo Flex 5 15.6" FHD Laptop with Intel Quad Core i5-8250U / 8GB / 500GB / Win 10 (Black) from Lenovo.com. 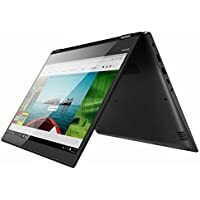 Discount : $244.90 via coupon "PIDAYSAVE31"
: 10% via coupon "DAYLIGHTSAVE10"
Lenovo.com is offering an extra 10% off entire order including laptops, desktops, electronics, and more via coupon code "DAYLIGHTSAVE10". Plus, all orders qualify for free shipping. This offer is valid till 03/10/2019. 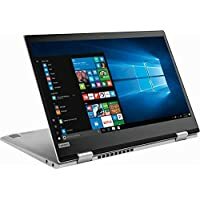 Get Lenovo Yoga 730 13" FHD Touchscreen 2-in-1 Laptop with Intel Quad Core i7-8550U / 16GB / 512GB SSD / Win 10 from Lenovo.com. 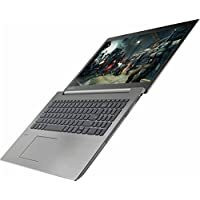 : $100.00 via coupon "SHIPQUICK10"
Get Lenovo Ideapad 330 15.6" FHD Laptop with AMD Quad Core Ryzen 7 2700U / 16GB / 2TB / Win 10 from Lenovo.com. Get Lenovo Ideapad 130 14" HD Laptop with Intel Core i3-7020U / 8GB / 1TB / Win 10 from Lenovo.com. 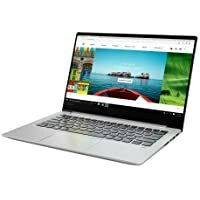 Get Lenovo Yoga 720 12.5" FHD Laptop with Intel Core i3-7100U / 4GB / 128GB SSD / Win 10 (Iron Grey) from Lenovo.com. Get Lenovo L380 Yoga 13.3" FHD 2-in-1 Laptop with Intel Core i5-7200U / 8GB / 512GB SSD / Win 10 from Lenovo.com. 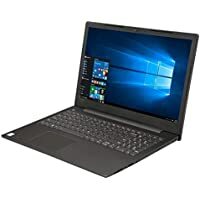 : 10% via coupon "PRESIDENT10"
Get Lenovo IdeaPad 330 17.3" Laptop with Intel Quad Core i5-8300H / 8GB / 1TB / Win 10 / 4GB Video (Onyx Black) from Lenovo.com. 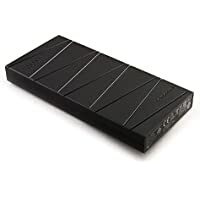 : $69.00 via coupon "WEEKEND"
Get Lenovo PB500 10,000 mAh On the Go Power Bank (Black) from Lenovo.com. Get Lenovo Ideapad 720S 15.6" FHD Laptop with Intel Quad Core i7-7700HQ / 8GB / 512GB SSD / Win 10 / 4GB Video from Lenovo.com. Get Lenovo Flex 15 15.6" FHD Laptop with Intel Quad Core i5-8250U / 8GB / 500GB / Win 10 (Onyx Black) from Lenovo.com. 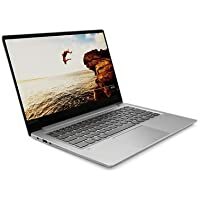 Get Lenovo IdeaPad 720S 15.6" 4K UHD Laptop with Intel Quad Core i7-7700HQ / 16GB / 1TB SSD / Win 10 Pro / 4GB Video from Lenovo.com. 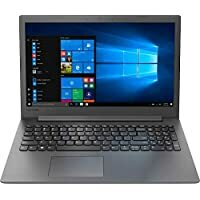 Get Lenovo Legion Y530 15.6" FHD Laptop with Intel Hex Core i7-8750H / 8GB / 512GB SSD / Win 10 / 4GB Video from Lenovo.com. Discount : $325.00 via coupon "Y530DEAL"
Get Lenovo Legion Y730 17.3" FHD Laptop with Intel Hex Core i7-8750H / 16GB / 1TB HDD & 128GB SSD / Win 10 / 4GB Video from Lenovo.com. 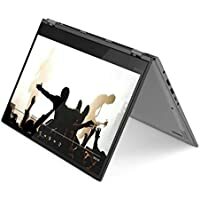 Discount : $400.00 via coupon "Y730DEAL"
Get Lenovo ThinkPad L380 Yoga 13.3" FHD Laptop with Intel Core i5-7200U / 8GB / 512GB SSD / Win 10 (Black) from Lenovo.com. 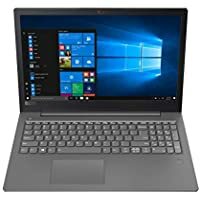 Get Lenovo Ideapad 720s 13.3" FHD Laptop with Intel Quad Core i7-8550U / 8GB / 512GB SSD / Win 10 (Iron Grey) from Lenovo.com. 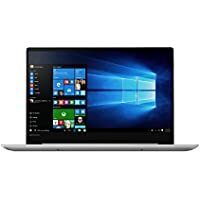 Get Lenovo IdeaPad 330 17.3" Laptop with Intel Quad Core i7-8750H / 12GB / 1TB / Win 10 / 4GB Video (Onyx Black) from Lenovo.com. 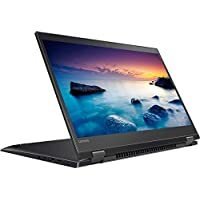 Get Lenovo Ideapad 330 15.6" FHD Laptop with AMD Quad Core Ryzen 5 2500U / 8GB / 1TB / Win 10 (Onyx Black) from Lenovo.com. Get Lenovo ThinkPad X280 12.5" FHD Laptop with Intel Core i5-7200U / 8GB / 512GB SSD / Win 10 from Lenovo.com. Get Lenovo Legion Y530 15.6" FHD Laptop with Intel Core i5-8300H / 8GB / 256GB SSD / Win 10 / 6GB Video from Lenovo.com. Get Lenovo Ideapad 130 15.6" HD Laptop with Intel Core i3-6006U / 8GB / 1TB / Win 10 (Black) from Lenovo.com. 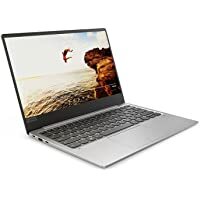 Get Lenovo Ideapad 720s 13.3" 4K UHD Laptop with Intel Quad Core i7-8550U / 8GB / 512GB SSD / Win 10 (Iron Grey) from Lenovo.com. Get Lenovo Ideapad 330 17.3" HD+ Laptop with Intel Quad Core i5-8250U / 12GB / 2TB / Win 10 (Platinum Gray) from Lenovo.com. Get Lenovo Ideapad 330 15.6" FHD Laptop with Intel Quad Core i7-8750H / 16GB / 1TB HDD & 128GB SSD / Win 10 / 2GB Video from Lenovo.com. Get Lenovo Legion T530 Desktop with Intel Quad Core i7-8700 / 16GB / 1TB HDD & 128GB SSD / Win 10 / 4GB Video from Lenovo.com. 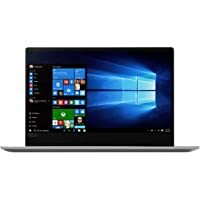 Get Lenovo Ideapad 330 15.6" FHD Laptop with Intel Quad Core i7-8750H / 12GB / 1TB / Win 10 / 2GB Video (Onyx Black) from Lenovo.com. Get Lenovo Legion T530 Desktop with Intel Quad Core i7-8700 / 8GB / 1TB HDD & 128GB SSD / Win 10 / 6GB Video from Lenovo.com. Get Lenovo ThinkPad L380 Yoga 13.3" Laptop with Intel Core i5 7G / 8GB / 512GB SSD / Win 10 from Lenovo.com. Get Lenovo V330 15.6" FHD Laptop with Intel Quad Core i7-8550U / 12GB / 1TB (Iron Grey) from Lenovo.com. 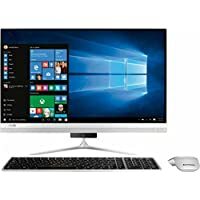 Get Lenovo IdeaCentre AIO 520 23.8" FHD All-in-One with Intel Hex Core i5-8400T / 8GB / 1TB HDD & 16GB SSD / Win 10 from Lenovo.com. 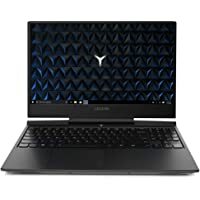 Discount : $85.00 via coupon "DESKTOP10"
Get Lenovo Legion Y530 15.6" FHD Laptop with Intel Hex Core i7-8750H / 8GB / 1TB / Win 10 / 4GB Video (Black) from Lenovo.com. 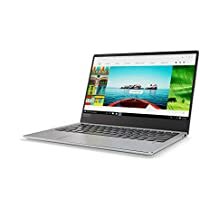 Get Lenovo V330 15.6" FHD Laptop with Intel Quad Core i7-8550U / 12GB / 1TB / Win 10 (Iron Grey) from Lenovo.com. 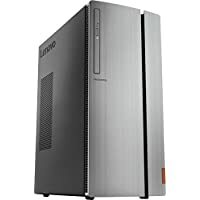 Get Lenovo IdeaCentre 720 Desktop with Intel Quad Core i7-8700 / 16GB / 1TB HDD & 16GB SSD / Win 10 / 4GB Video from Lenovo.com. 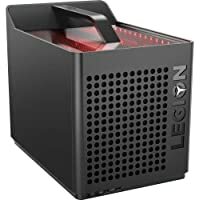 Discount : $110.00 via coupon "DESKTOP10"
Get Lenovo Legion C530 Mini Desktop with Intel Hex Core i5-8400 / 8GB / 1TB HDD & 16GB SSD / Win 10 / 4GB Video from Lenovo.com. Get Lenovo Flex 14 14" FHD Laptop with AMD Quad Core Ryzen 7 2700U / 16GB / 256GB SSD / Win 10 from Lenovo.com. Get Lenovo Ideapad 330 17.3" Laptop with Intel Quad Core i5-8250U / 12GB / 2TB / Win 10 (Platinum Gray) from Lenovo.com. Get Lenovo Ideapad 330 17.3" Laptop with Intel Quad Core i5-8250U / 12GB / 2TB / Win 10 (Platinum Grey) from Lenovo.com. Lenovo started its business in 1984 to become the leading computer company of china within no time. Today Lenovo is worth $40+ billion with 48,000 employees in over 160+ countries. Their vision is to become the most trusted brand of the world where people feel proud of owning it. Their culture is to perform what they promise, practice improvizing everyday, pioneer new ideas, deliver break-through innovations in computer technology and win the hearts of the people. Fortune magazine named Lenovo in their prestigious list of 'World's Most Admired Companies'.